This entry was posted on July 19, 2012 at 11:12 am and is filed under Adventure, Animation, Family, Fantasy with tags 1988. You can follow any responses to this entry through the RSS 2.0 feed. You can leave a response, or trackback from your own site. That’s quite a change going from Hunger to a Miyazaki movie, Mark 🙂 I haven’t seen this, I’m actually not a huge fan of anime films, but I did enjoy Spirited Away. It is quite a change Ruth, your right. 😉 I’m just about to post a change back again in “44 Inch Chest”. I know where your coming from though, I’m not overly keen on anime either but Miyazaki’s stuff is always worth a watch. He’s highly imaginative. Eclectic tastes Ruth. You’ve got to dip your toe in different ponds. I’m exactly the same, there’s really nothing I wouldn’t watch at least once. I flit between many genres and styles. I haven’t seen this — in fact, I haven’t watched hardly any Japanese animated films at all — but I will defend the dubbers on the lip synching issue here. It’s going to nearly as hard to lip sync on animation as on live action, because the animation is based on specific sentences. While they could theoretically redraw the animation for each language that it gets dubbed into, most studios are understandably reluctant to put that much effort into it. Aah! I wasn’t aware of that Morgan. That’s a good point. That being said, this english language version was released by Disney as it turns out. They must have been aware of the credibility and reputation of Studio Ghibli’s film’s so I would have thought they’d have put the effort in. Maybe it’s just because the story dragged a little that I had time to pick out such faults. Its still a good little film though. Not really a fan of these types of movies, but I feel like I am missing something by not seeing them. There are loads of different film’s in the Studio Ghibli collection Scott but it’s specifically Miyazaki ones that are worth it. 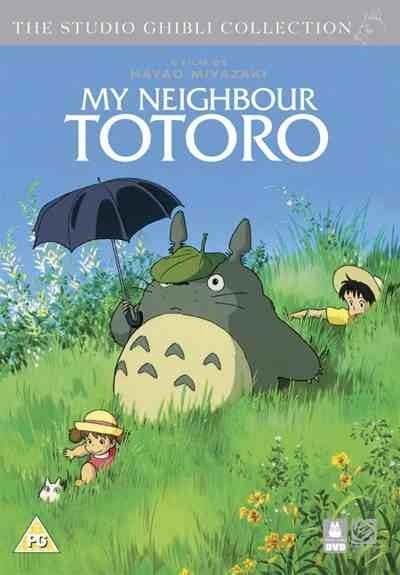 I’m not big on anime either but I always enjoy a Miyazaki film. Just for a trial, check out “Spirited away”. It’s really good man. There’s something about Japanese animation… I can’t quite describe it. It always seems much more… “alive”… than American animation, for some reason. I don’t even think Miyazaki’s made the best anime films, but he’s top tier for sure. 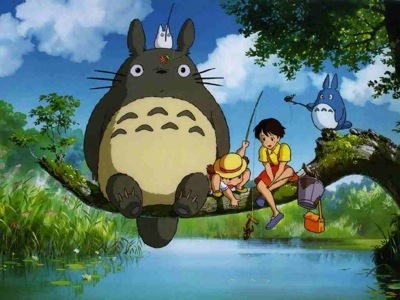 I saw TOTORO a long time ago, but some of that imagery still sticks in my mind. Like waiting at the bus stop in the rain and Totoro comes over and stands next to him, and you’re thinking “WTF is happening?” and then the Catbus or whatever and, even as a kid, you realize why people make fun of the the Japanese for being, quote-unquote, “screwed up”. If you’ve not seen PRINCESS MONONOKE, I highly highly recommend that one. Don’t be put off by the title, it’s actually quite grand. I agree man. I’ve seen quite a few anime movies over the year but these days I just stick to Studio Ghibli and in particular, Miyazaki. I’ve always found him to be that bit more imaginative and it’s always film’s I can watch with my kids and give them a different experience with animation. Spirited Away, still remains my favourite but Mononoke is the last one on my list and I aim to get around to that. Thanks for the recommendation.